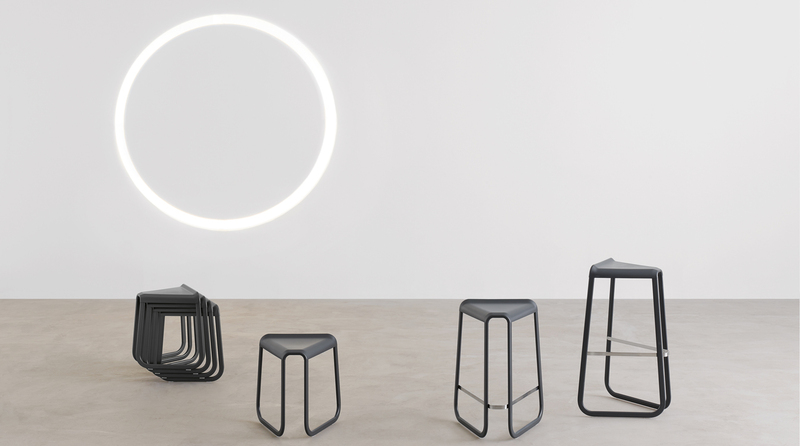 Sometimes, inventing new shapes can be used to overturn schemes and formulate new rules. 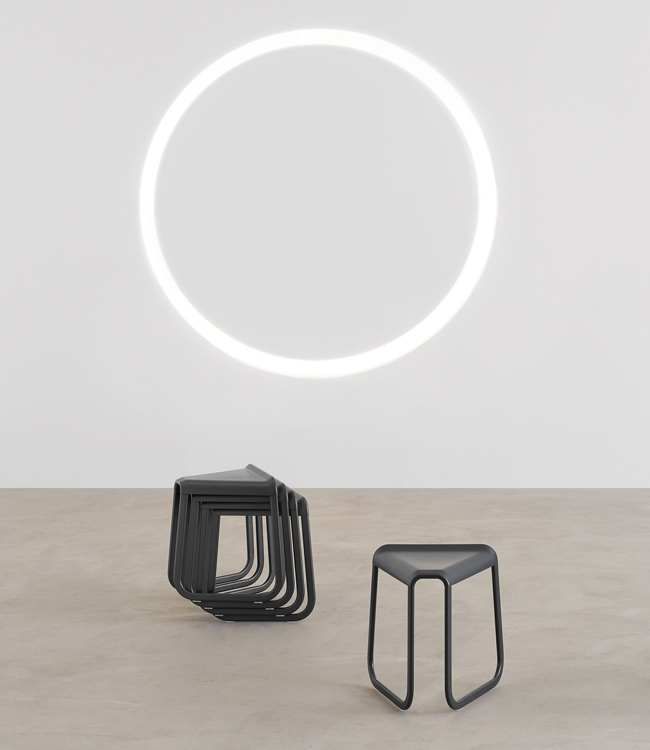 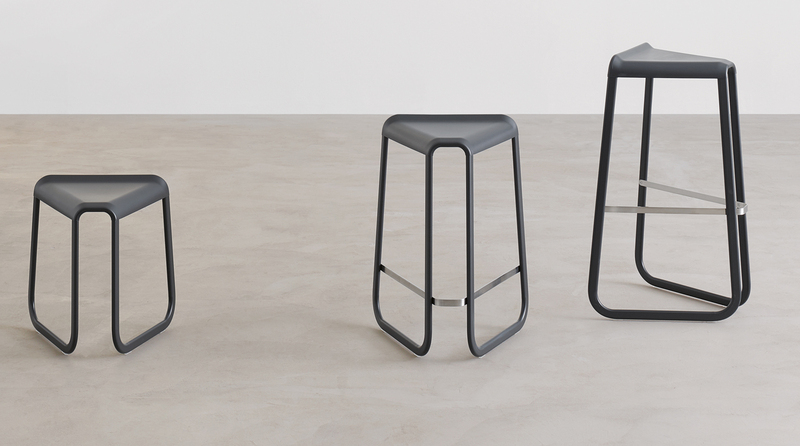 This is how Myg was born: a lesson in statics translated in the form of a triangular – shaped stool. 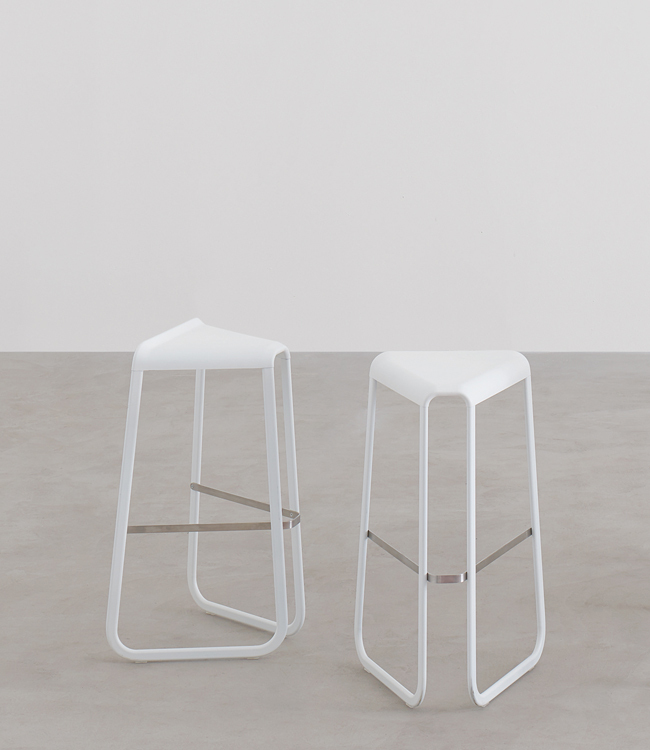 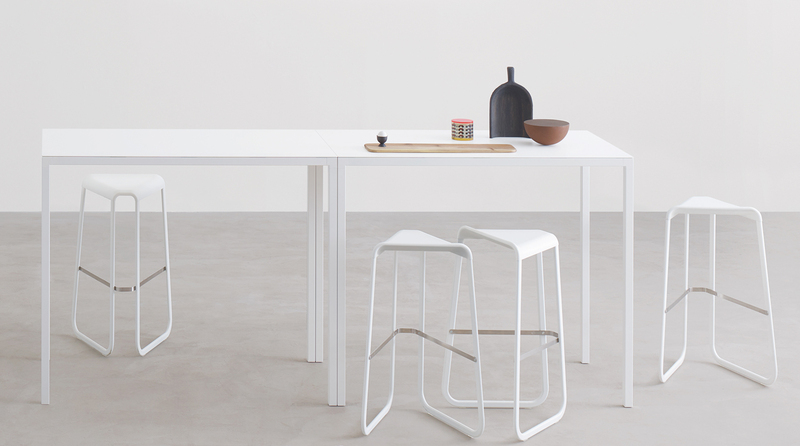 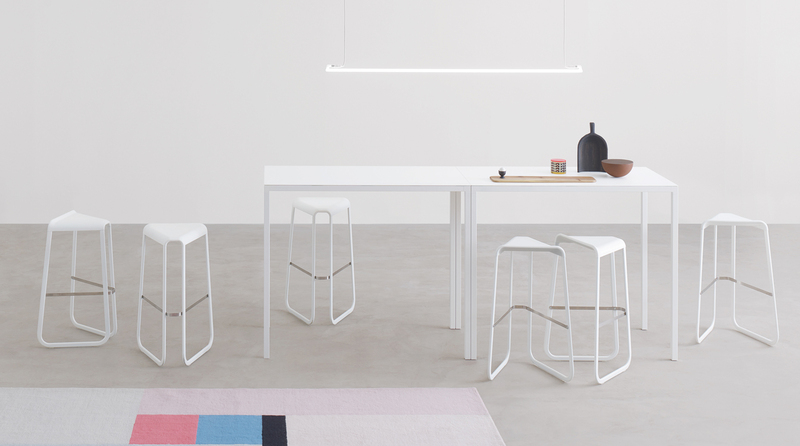 Barstool in three heights, stackable. 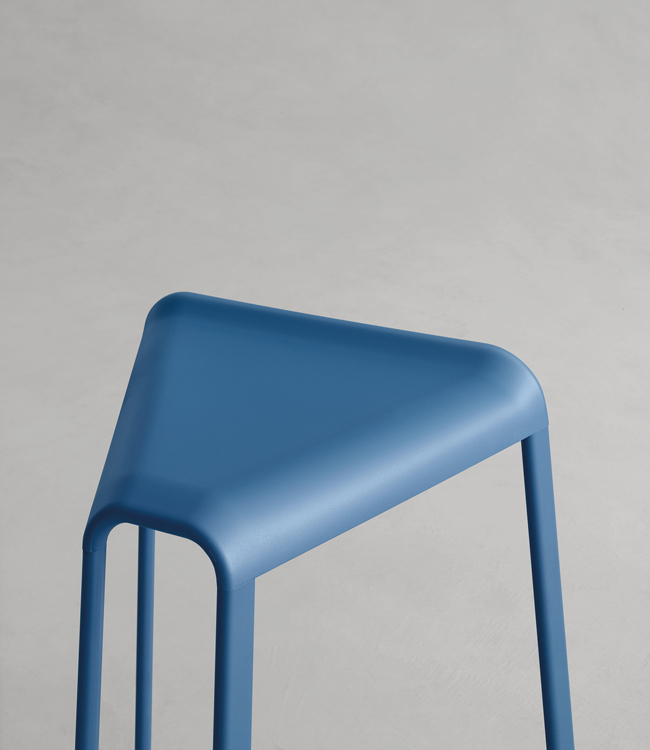 Seat in integral polyurethane, tubular steel frame with oval shape, footrest in matt stainless steel.